I did it! I taught myself to crochet! Finally! After years of saying I wanted to learn, I finally took the time to sit down and watch a few videos and now I’m crocheting. Yay! 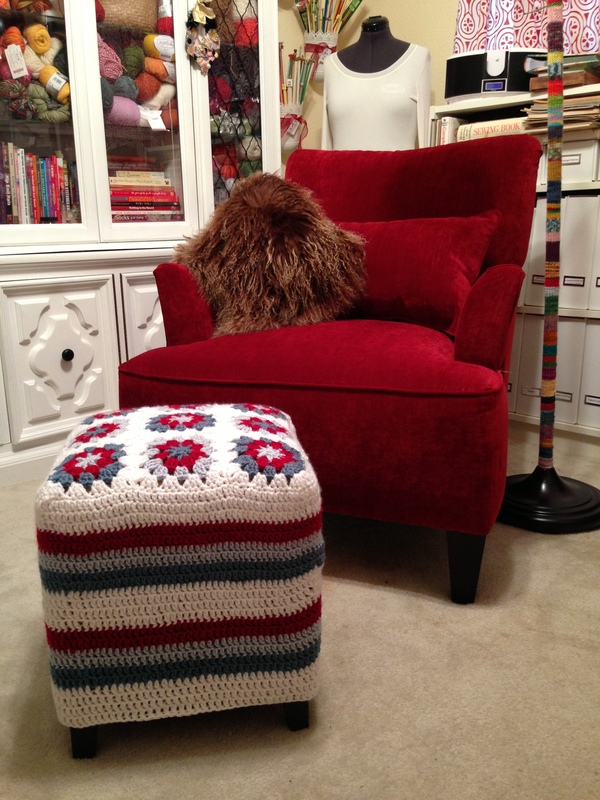 I made this ottoman slip cover, for my yarn-bombed craft room. 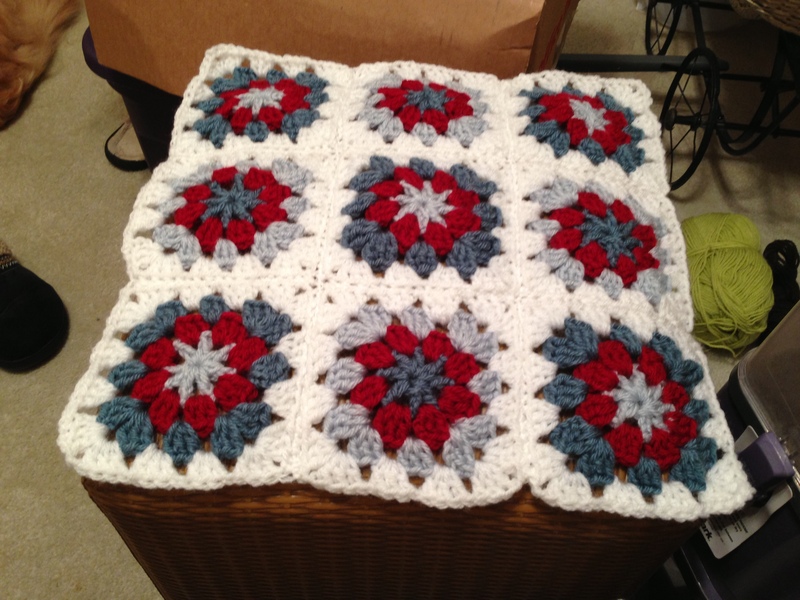 I made the top with nine granny squares, stitched together with the whip stitch. Then I did one row of single crochet around the edge of all 9 granny squares. 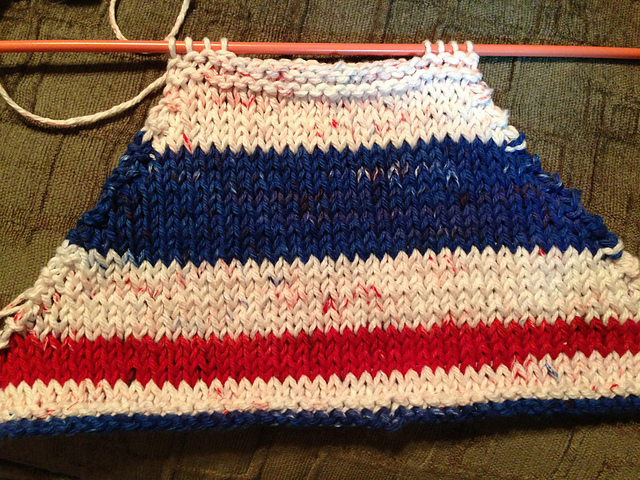 Then I double crocheted in alternating colors. I’m really happy with how it looks and I know I’ll be trying to make more crocheted projects in the future. 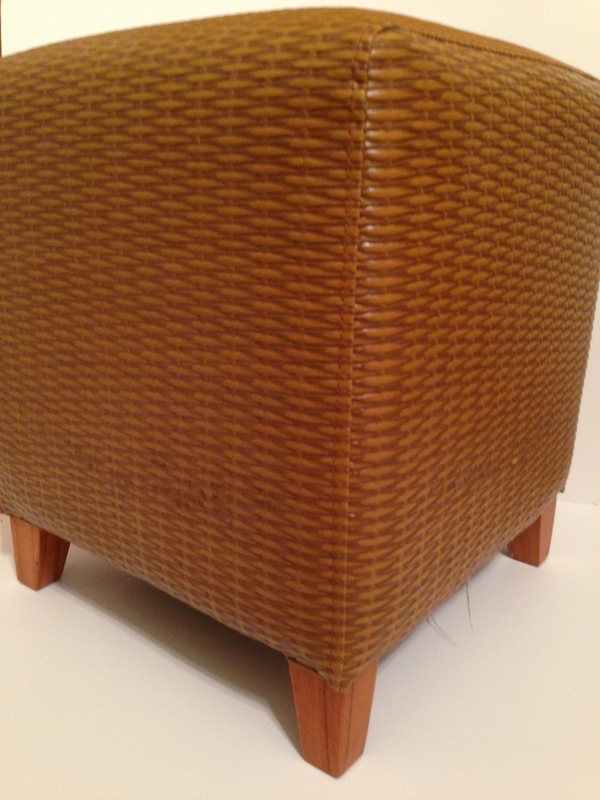 I purchased this used ottoman at a resale shop for $15 and painted the legs a dark brown to match my chair. Below are some before, during and after pictures. 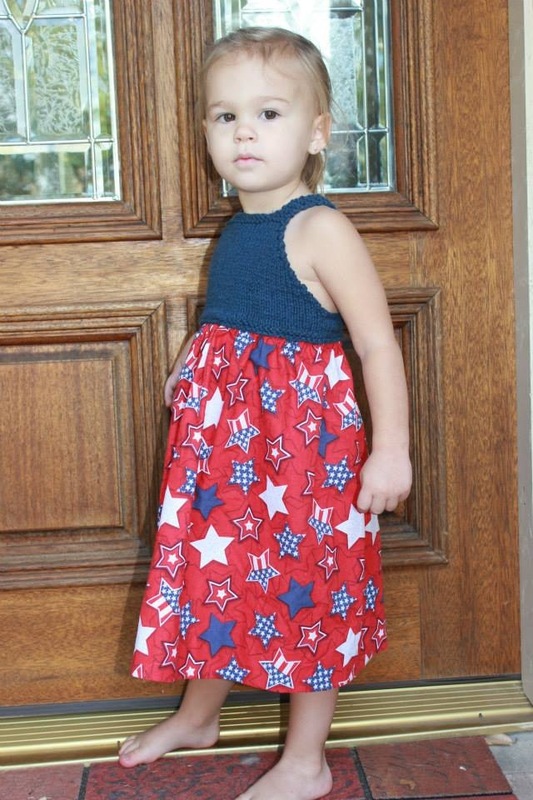 When I came across the pattern called The Two Summer Sundress by Natalie Larson, I knew I needed to make this dress. 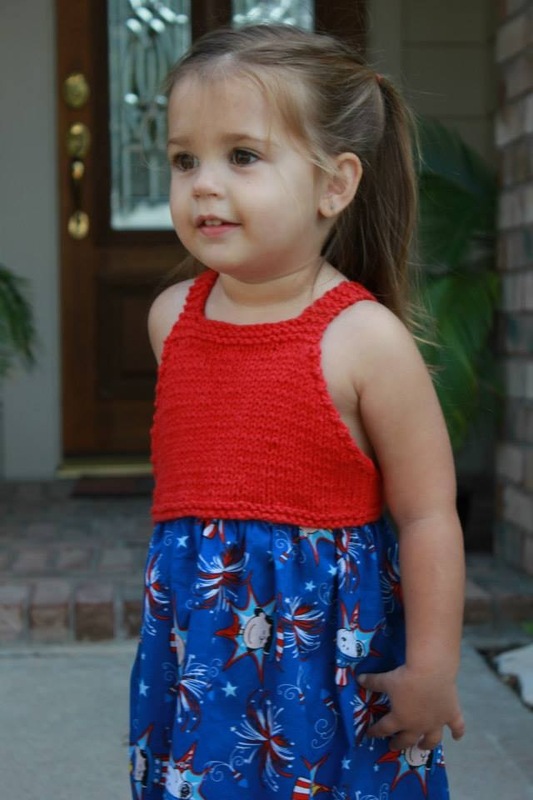 For a second or two, I thought to myself who can I make this dress for? Then the thought of my cousin Jason’s twins popped into my head. Perfect!!! His twins are 2 years old and so cute. 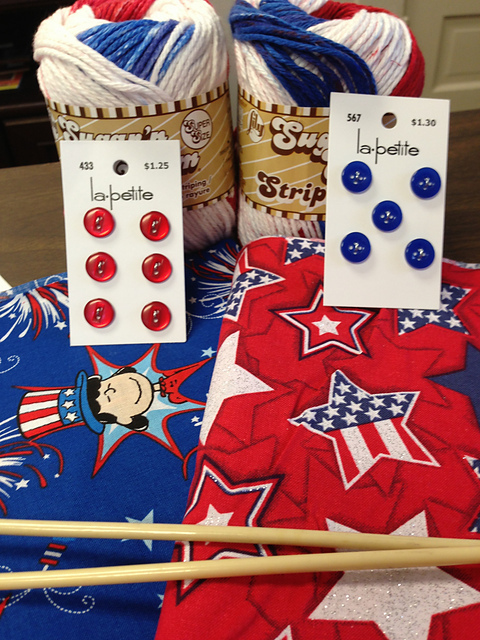 I knew 4th of July was just a few weeks away so I went to JoAnn’s and picked out some patriotic cotton fabric. I also purchased 2 skeins of Sugar ‘n Cream cotton yarn in the colorway “American Stripes”. The top portions knitted up quickly in just two evenings. I washed them in cold water on the gentle cycle together, but with nothing else, thankfully, as the colors all ran and the white turned pink. I was so upset! Below is a picture of one of the tops BEFORE washing. I waited about 3 days before I picked up my needles again to knit two more tops. 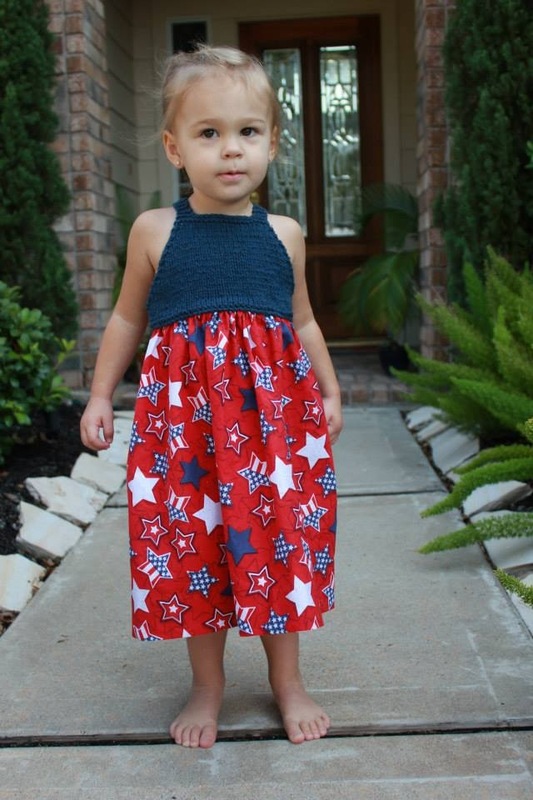 I ended up using some cotton yarn I had in my stash and made one top blue and one top red. 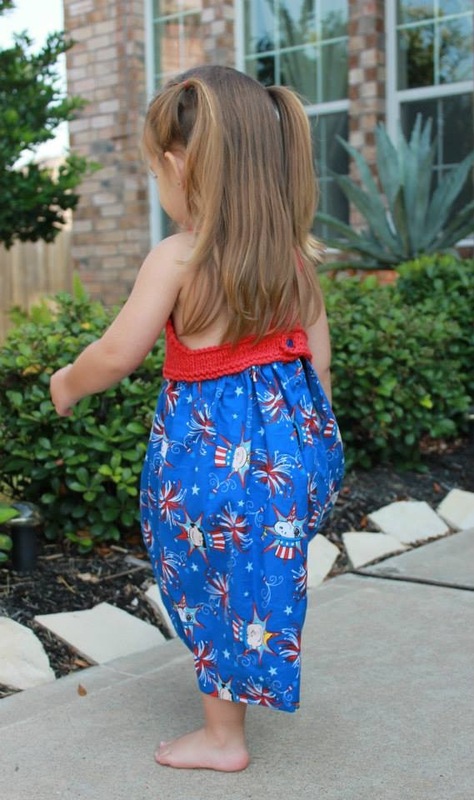 My cousin and his wife like to dress the girls differently, so I didn’t make them to match. 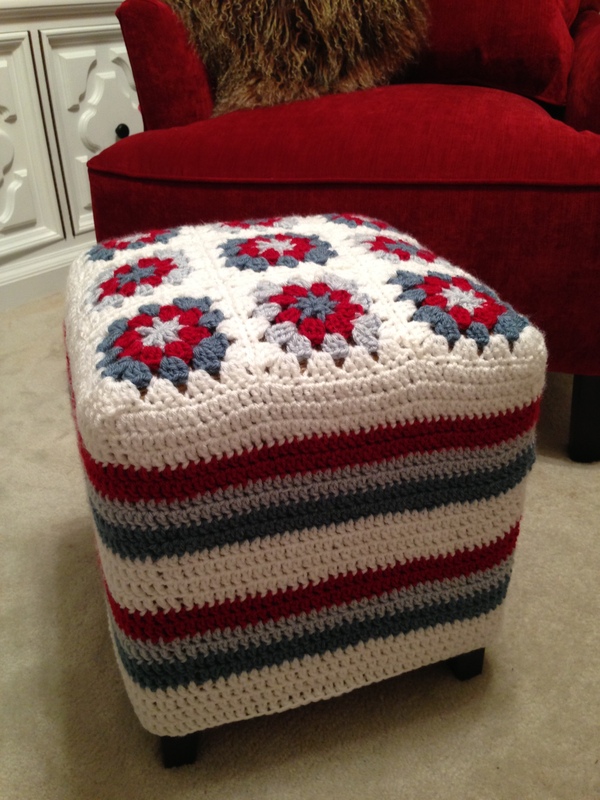 I used polka-dot ribbon to sturdy the edges on the inside of the top. 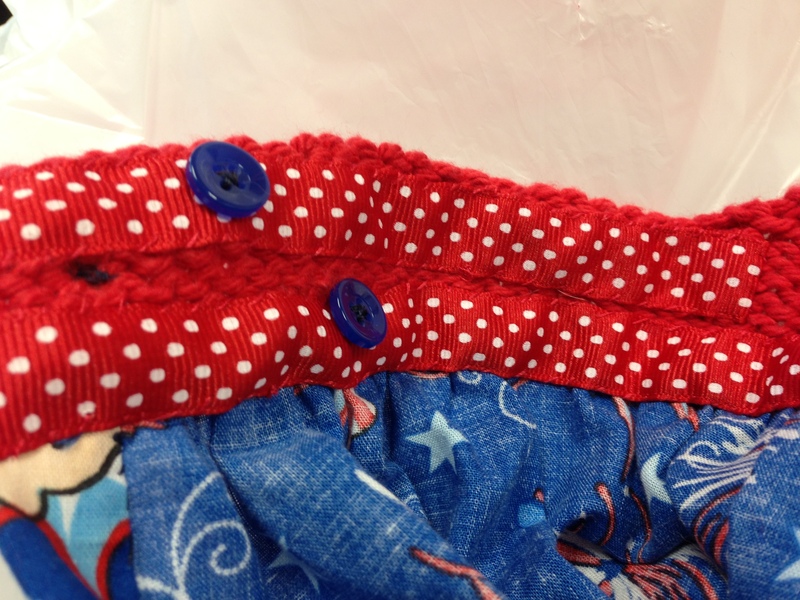 I also sewed buttons in two different locations in the back of the dress, so the straps could be adjusted. I’m really happy with the way the dresses turned out and they looked so cute on the girls. See pictures below.